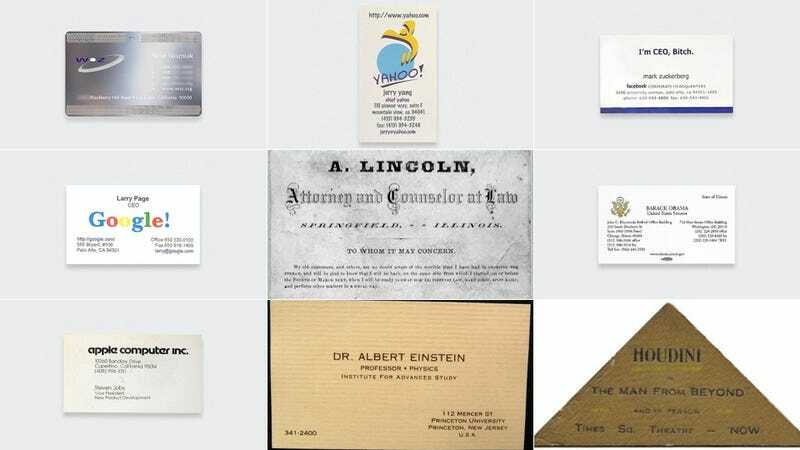 Even though business cards seemed like they would be one of the first things to get killed by some fancy techwiznology, they've managed to survive even though the use of dead paper is dying. Everybody has business cards—even the super rich and super famous. Here are a few business cards from people you definitely already know. I want to know what it would've been like to get Abraham Lincoln or Houdini's business card. You never know when the next lawyer becomes one of the greatest Presidents alive or that kooky magician you might've hired for your kid's birthday party becomes hoo-freaking-dee-nee.